It’s not been long since Google released their new Android Kitkat 4.4 OS and there are a lot of smartphones still waiting to be updated to kitkat. While all other smartphones are waiting for their Kitkat update Google just announced that it will be releasing Kitkat4.4.1 for Nexus 5 which will not only fix bugs and issues on the smartphone but improve the camera as well. 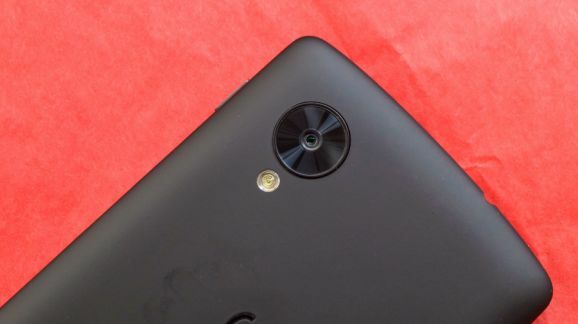 Nexus 5 camera as it is, is facing a lot of problems, with its focusing because it takes some time before focusing onto something and the camera quality is not as good as it should be considering it just came out. Kitkat4.4.1 is coming out to solve all these problems. The update will fix the HDR+ mode already on the Nexus 5 improving it to come up with better pics while also introducing pinch to zoom option with it that was disabled till now. It will also decrease shutters lag and focus time. If you look at the pictures you will clearly see the difference that the new update brings to the camera. Over all Nexus 5 is an amazing smartphone whether it’s the design or the software of the smartphone but in terms of its camera it was very disappointing. So any updates made to make the camera work better would be a good news for the users of Nexus 5. Google Director of EngineeringBruke said that ‘’ they put a team in order to fix this problem and they spend almost 5 weeks in solving this problem by tweaking the settings between speed and image quality’’. Looks like Bruke’s work paid off and not only was his team able to make the picture quality better but the camera app launches quicker as well. They also added a new progress indicator for when you take HDR+ pictures and also fixed the face recognition bug for face unlock on Nexus 5. Nexus 5 is Google’s new smartphone and Google has a reputation with their Nexus smartphones and they weren’t going to ruin that and came out with an update to fix any bugs as soon as possible and hopefully in future they would do the same.Kitkat 4.4.1 update will roll out starting 5th December.